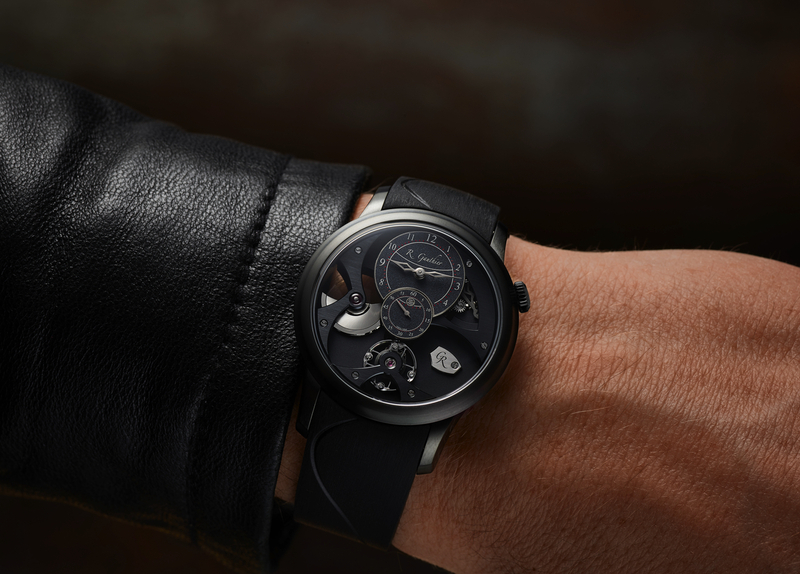 Romain Gauthier just unveiled a second, complicated haute horology collection called the Logical One. 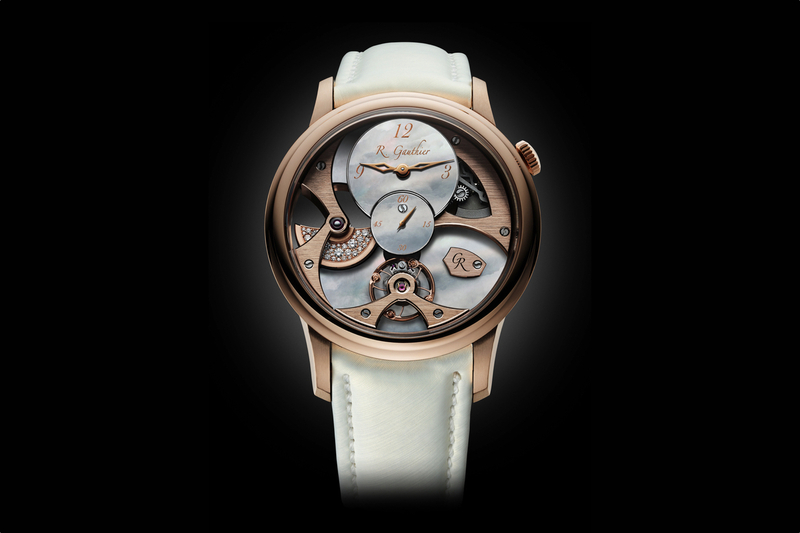 Several technical features set this timepiece apart from a traditional fusée and chain wristwatch: a snail cam is used instead of a fusée, the chain features ruby links and the mainspring is wound via a push-button. Not to mention, the finishing on the movement, which is manufactured by Romain Gauthier in the famous Vallée de Joux region (as denoted on the back of the movement), is amongst the best in the world. Typically, a cone-shaped fusée is used with a chain to deliver constant torque, however, the Logical One has a snail cam instead, allowing for the chain links to be much larger and stronger. Instead of the traditional cone-shaped fusée to deliver constant torque, the Logical One has a snail cam which allows the mainspring barrel to be on the same level, and so the force is transmitted in a straight line which is more efficient. This allows the links of the chain to be larger and stronger. Furthermore, instead of a traditional chain, this chain uses ruby inserts to minimize friction. Technically, the Logical One is very impressive; aesthetically, it is equally impressive. From the balance wheel and ruby link chain that are both visible on the dial side to the unusual double-angle anglage, which consists of two parallel polished bevels on the bridges, to the hand-frosted bridges – the movement finishing is exquisite. 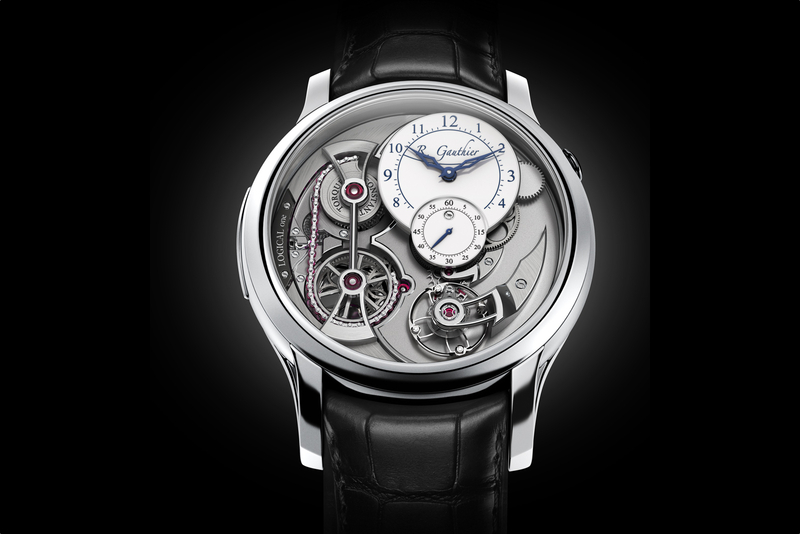 The movement is wound by pressing a button at 9 o’clock on the side of the case. There is a power reserve indicator, visible through the case back, that helps determine when the watch needs to be wound. The mainspring barrel, which houses the mainspring, has sapphire plates above and below to minimize wear over time. There are 30 jewels in the movement, 34 for the chain and 333 components in total. 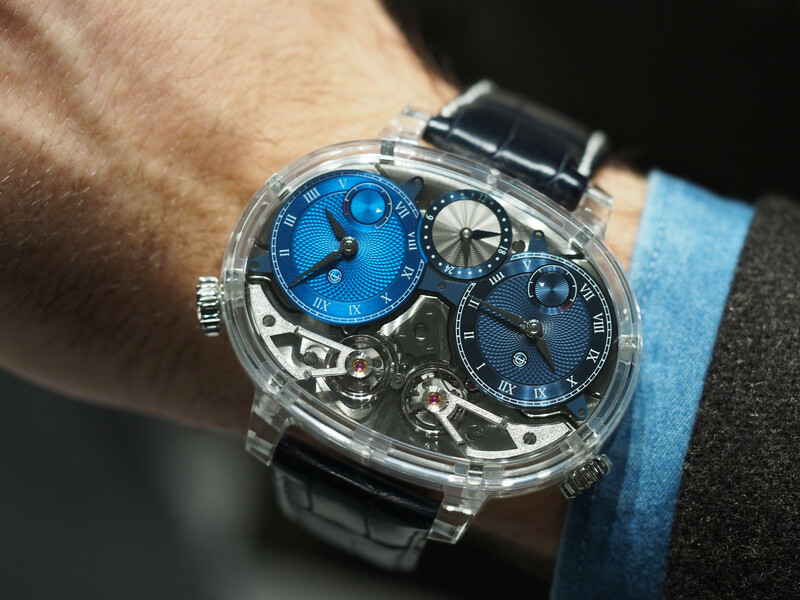 The balance oscillates at 28,800 vph (4Hz) and the power reserve is 60-hours. The case measures 43 mm x 14.2 mm, is fully polished with hollowed lugs and is available in red gold or platinum.